We are ARSCE – Active and Retired Seattle City Employees Association, with an emphasis on retired folks and their families and friends. We are the advocate for members of the Seattle Employee Retirement System, keeping an eye on actions at the local and state level which might affect us. And, we encourage retirees and active employees to keep in touch through our bi-monthly ARSCE News, and our quarterly luncheons. The News covers City Retirement System issues, and includes columns and articles by active and retired employees featuring everything from travel experiences to other employee get-togethers, to books and films, and to a variety of other items of interest to retirees. Please join us for our quarterly luncheons – a great chance to meet up with old friends and associates – and enjoy the ARSCE News, our bi-monthly publication. The News will keep you current on City Retirement System issues, and also includes columns and articles by active and retired employees featuring everything from travel experiences to other employee get-togethers, to books and films, and to a variety of other items of interest to retirees. We maintain this website to provide users with information about ARSCE. You’ll find the ARSCE event calendar, information about membership and the luncheons, names and contact information for the officers, and a lot of documentation, including our Bylaws, past issues of the ARSCE News, and link stop other information sources of interest to retirees. Enjoy this website, and if you are a current or retired City of Seattle employee, we hope you are a member or that you will consider becoming a member. We did have a great time at the Christmas Luncheon–the prime rib and all the trimmings that came with it were delicious. Also the gift exchange was a lot of fun. I hope you all had a great holiday and a good start to the New Year. Some sad news that came at the end of the year was the passing of Kirk Jones and John Randall, two long time members of ARSCE (Active & Retired Seattle City Employees). It is always sad anytime we lose a friend, a loved one, or a family member. So I am sorry if any of you experienced that last year. 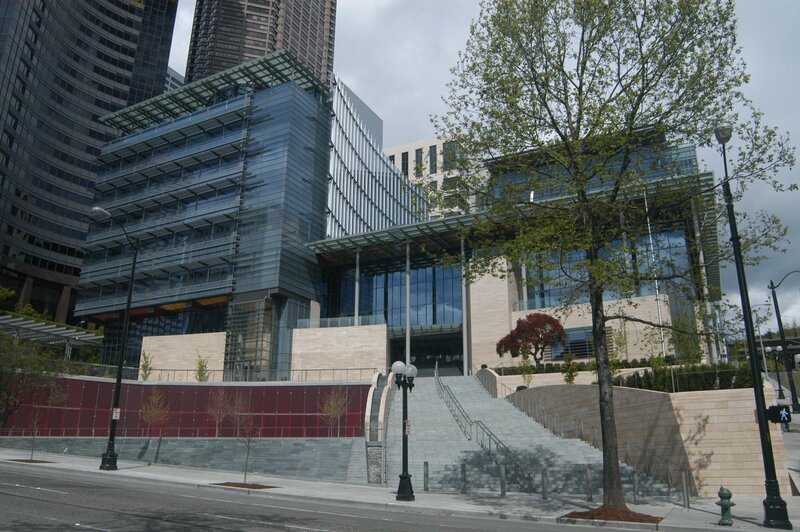 I attended the last SCERS (Seattle City Employees’ Retirement System) Board meeting and they were doing training on their fiduciary responsibility, personal liability, and also on the City Ethics Code. This was conducted by the Board’s outside attorneys. The bad news of the day is that the stock market, which was generally flat most of the year 2018, really took a dive in December, costing a 4% loss for the year, which wasn’t all bad compared to some other retirement systems. So where, at the end of November of last year, the Retirement System was funded at around 70%, at the end of December it was sitting at around 66%. It seemed that at the end of 2018, it was a good year for retirement, There were 27 members who retired; good luck to them. We heard from some ARSCE members that they were having a hard time getting ahold of the retirement office. I am not sure why because they have two great people working at the front counter. I talked with Jeff Davis, Executive Director, about this and he was also surprised. So here are the numbers to call to reach the front counter: (206) 386-1293, or toll free (877) 865-0079. They are busy so if you don’t get them right away, keep trying. Be sure to read Lou Walter’s column [in the ARSCE News]. The issue of outsourcing our retirement funds has come before. We are totally against any move that would change the current system. ARSCE monitors the pensions and benefits for both active and retired employees. Experience the benefits of ARSCE membership.